Professional help to choose the right boot along with a great price and immediate drop ship ordering at no charge. We have been using and selling all Easyboot products for 25 years. Currently the Easyboot Glove is the boot we use. Our experience using ALL Easyboot styles can help you make the best choice of what will work for you and your horse. 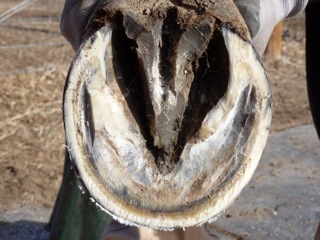 Please contact us so we can help you and your horse use boots successfully. Fitting is of the utmost importance when using boots. We have a fit kit for sizing all boots. A proper trim is also beneficial to being successful with booting. Randy is now doing barefoot trims locally in the Boulder/Longmont/Hygiene/Lyons, Colorado area. Again please contact us for trimming questions or advice. 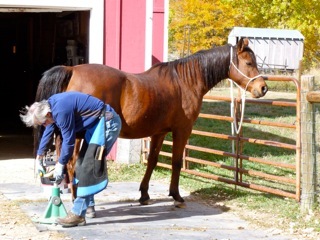 Also look in our “Barefoot hoof articles” in the Category section to the right for many articles on Barefoot trimming.